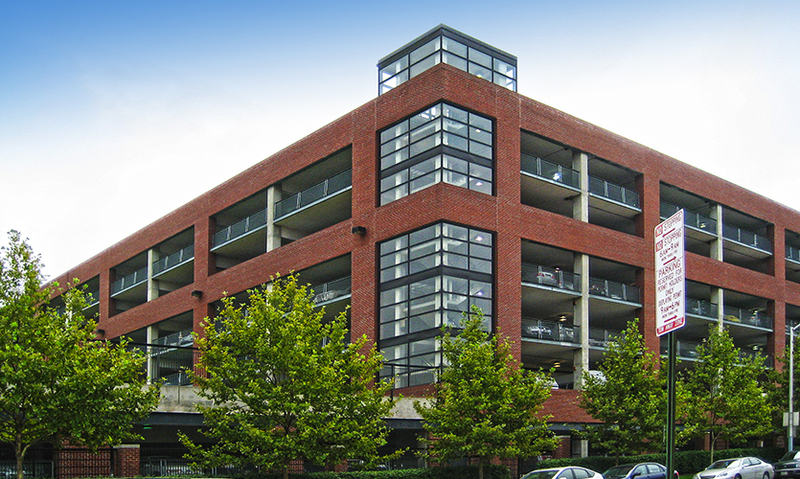 Morabito Consultants was the lead consultant on this massive parking structure, which occupies a city block. The structure is partially below grade so the east, west, and south elevations were given a 10-foot wide areaway to provide ventilation and natural lighting. West of the facility was designed to support a four-story MOB. The new structure is clad in brick in keeping with its historic neighborhood.